Measured area displays the floor plan of the selected building with the different areas that have been defined in the CAD plan shown in different colours. 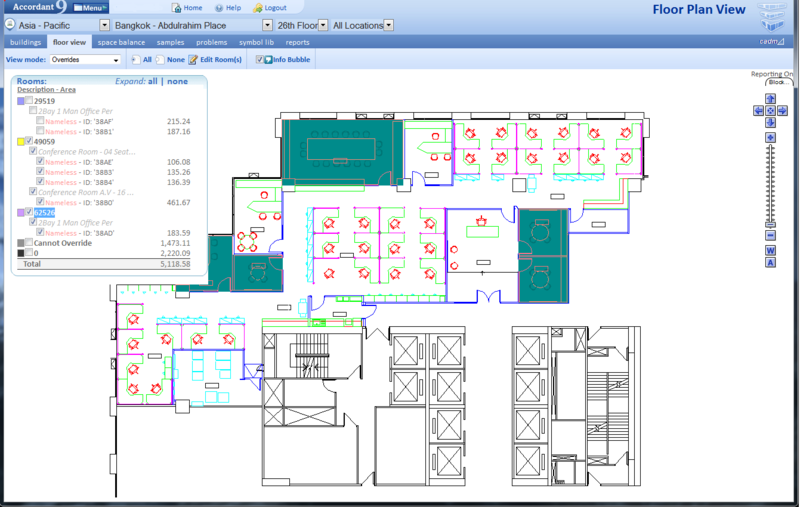 A key in the top left of the screen shows the description of the area, the designated colour and the area assigned to that space type. When hovering over an area, a text bubble appears providing information about the space. To edit the space, double click on it. This will bring up a new window allowing edits to be made to the details and status of the area. A list of all locations in the area is also shown. The location name, which cost centre owns it and who occupies it is displayed in this section. This edit works in all different sections of Room Views. The uplift of the building is shown in this section. 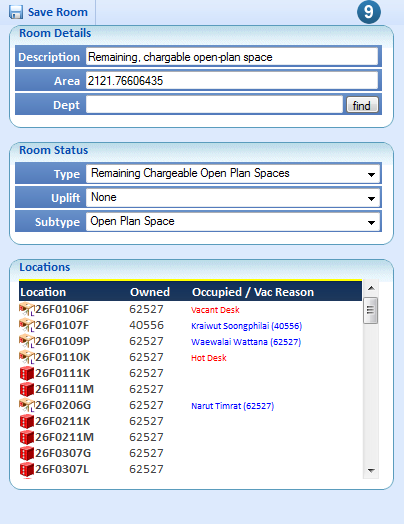 Standard open plan space that is charged normally to a division/department is given the description None. 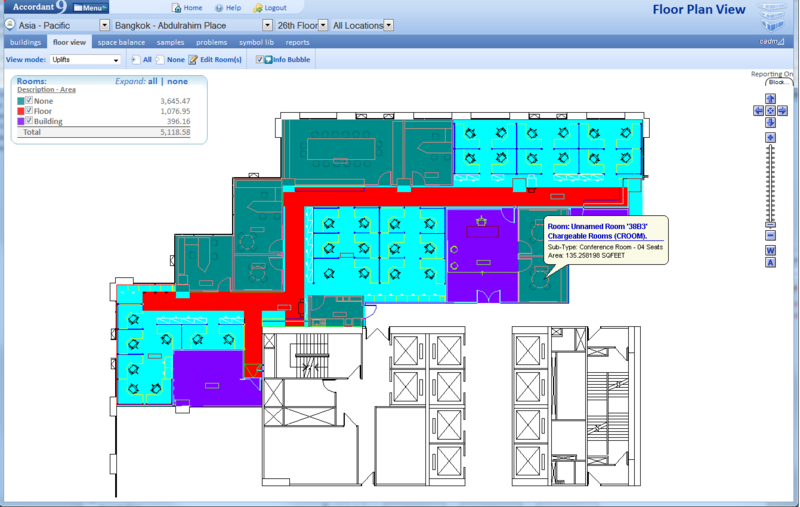 Any space that is charged to the floor as a whole is given the description Floor. And space that is charged to the entire building is called Building. Overrides displays areas that contain locations that are being charged to a department that differs from who the area is being charged to. The position of the locations are shown by checking the boxes in the key, this is in the top left of the screen.